Felix Rosenqvist will be back in action in the ABB FIA Formula E Championship for the opening round of the 2018-19 season in Ad Diriyah (Saudi Arabia) next month, competing for Mahindra Racing. 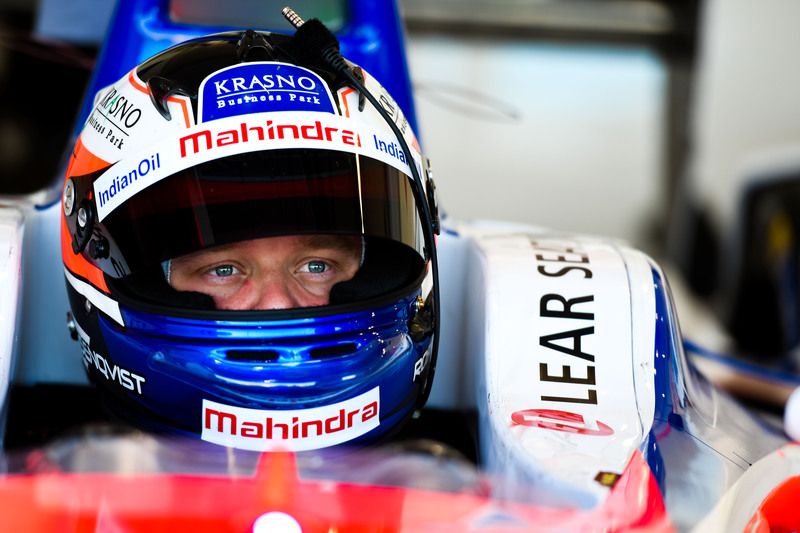 A three-time winner in the all-electric single-seater series across two campaigns in 2016-17 and 2017-18, Rosenqvist reunites with Mahindra Racing to line up alongside Jérôme d’Ambrosio in the first race of the much-anticipated fifth season of Formula E.
Rosenqvist handed Mahindra Racing its first-ever Formula E victory at the 2017 Berlin E-Prix and added further wins in Hong Kong and Marrakesh last season, and has played a key role in the on-track development of the team’s all-new M5Electro machine that will be used during the up-coming campaign. Rosenqvist will contest the Ad Diriyah E-Prix, with Pascal Wehrlein – Rosenqvist’s former team-mate from European Formula 3 in 2012 – then taking up his already-announced slot at the team from January 2019. The 2018-19 campaign is set to see the biggest overhaul in technical and sporting regulations since the formation of Formula E, as the mid-race car swaps disappear and faster, more energy-efficient cars are introduced. The Ad Diriyah E-Prix takes place on December 15.